Comedian Kapil Sharma is slowly trying to build his new comedy army with a few new people and roping in old people who have left the show. After the return of actor Chandan Prabhakar, Kapil had brought in Bharti Singh on The Kapil Sharma Show. But soon there were rumours that the actress left the show on the first day itself citing she was not happy with the script. However, Singh cleared the air on social media and clarified that she is very much a part of the show. 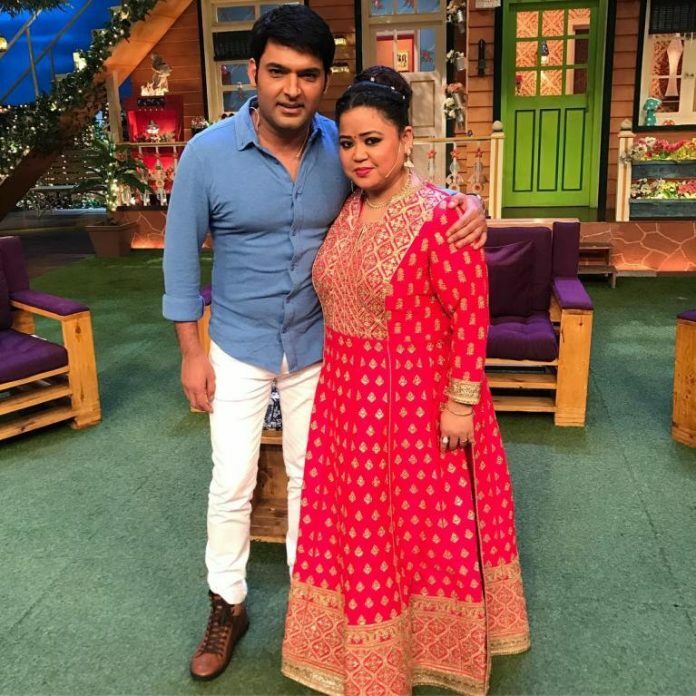 Bharti posted a picture of her with Kapil on the sets of The Kapil Sharma Show and wrote, “Who says I am not shooting for The Kapil Sharma Show? #NewBeginning #BhartionTKSS #TKSS #SonyTV @kapilsharma.” The picture posted by the comedian has shown her in a pink Indian outfit as she poses with fellow comedian Kapil Sharma. There are reports that the makers of The Kapil Sharma Show have brought Bharti Singh as well as her fiancé Harsh Limbachiyaa on board. Limbachiyaa has been reportedly signed to write dialogues for Bharti. Harsh and Bharti were recently a part of the celebrity dance reality show Nach Baliye 8. Despite weight issues on the part of Bharti, their performance was lauded and appreciated by the audience and judges. The season was won by Divyanka Tripathi and Vivek Dahiya.